When any body is subjected to a system of loads and deformation takes place and the resistance is set up against the deformation, then, the body is known as structure. The structure are means of transferring forces and moments. The structures may be classified as statistically determinate structures and statistically indeterminate structures. When the equations of statistics are enough to determine all the forces acting on the structures, in the structures, then, the structures are known as statistically determinate structures. When the equations of statistical equilibrium are not sufficient to determine all forces acting on the structure and in the structures, then the structures are known as Statistically Indeterminate Structures. The equations of consistent deformations are added to the equations of equilibrium inorder to analyse the Statistically Indeterminate Structures. The structures are categorised by their supporting systems. There are one dimensional, two dimensional and three dimensional supporting systems. When a supporting system is subjected to only one type of stresses, then, it is known as basic system. When a system is subjected to simultaneously several types of stresses, then it is known as mixed system. One dimensional supporting system can also be termed as “Line supporting structures”. The Line supporting structure is large in one dimension and small in other two dimensions. The material remains concentrated along a straight, curved or angular line. A flexible cable is an example for such a “Line Supporting Structure”. Two Dimensional supporting systems can also be called as surface structures. The surface structures is large in two dimensions and small in the third dimension. The material remains distributed along the surface. The surface maybe plain or curve. The curved surface may possess single or double curvature. A surface structure may also consist of line elements that form a continuous structure. 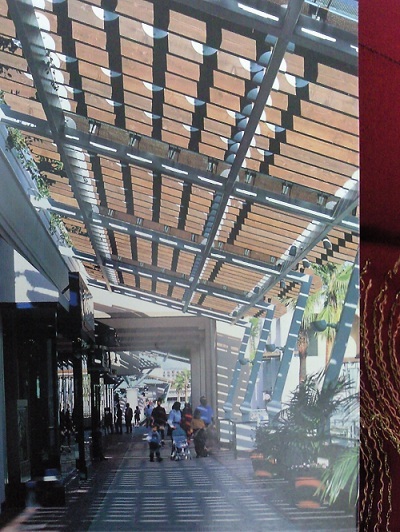 The framed structures are examples of surface structures made of line elements. The framed structures are built by assemblies of elongated members. The shell structures are rigid curved surface structures. They are built of sheets or plates. The shell roof coverings for large building, planes, airplanes, railroads, cars, ship bulls, tanks etc are the examples of shell structures. Three dimensional structures are large in all three dimensions and these structures may have any shape. The three dimensional structures are also called Space Structures. The three dimensional framed structures are also Space Structures. The structures may be further classified depending on the material used as Plastic Structures, aluminium structures, timber Structures, RCC Structures and Steel Structures. The structural steel is used for the steel structures. The high strength and ductility are the properties of the particular importance for the structural use of the steel. The ductility is the unique property by virtue of which it is able to deform substantially either in tension or compression before failure. Studying the classification of structures will help us understand the flow and concept designing various steel structures of varied designs. Ian Cockburn B. A., B. E. former AMIEA. Under “structures”, as in “What are Structures?”, it would seem preferable that in classifying them the wording is accurate. Statistics, which may be defined as “systematic data collection, analysis and presentation”, does not apply to the classification of structures. The word which should be used in these cases is “static” or “statically”, which is used simply to identify them as “not in motion” or stationary, as distinct from “in motion” or “dynamic”. Hence, structures are either “statically determinate” or “statically indeterminate”. please; give more examples in different code!